Can you believe we have only 2 weeks left of the swimming term and 29 days until 2018!!! The water is warming up and all students are improving out of sight in the pool. We know that the silly season is approaching and things can get very busy so just a friendly reminder to enrol into Terms 2 and 3 to ensure you secure your child’s preferred time slot as your current time slot is not guaranteed until you lock it in by booking early. Summer school holidays are literally just around the corner and our popular Summer Nipper Camps are already filling up! These Camps are a great way to enhance ocean skills and awareness, learn to paddle a nipper board as well as keeping them active and moving over the school holidays by swimming in the surf. Nothing worse than wasting a summer’s day inside glued the TV or Ipad. 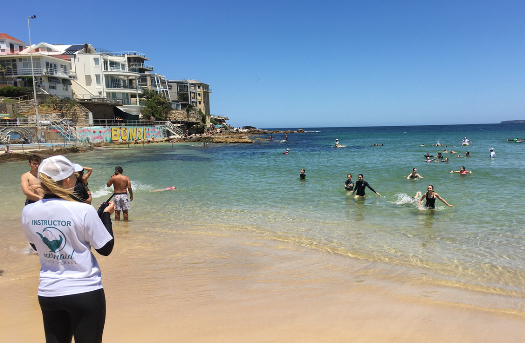 Coming into the warmer weather and the holidays means a lot of time can be spent down at the beach or near a pool, it is so vital your child is confident but also safe and competent in and around water. Please be vigilant especially with the excitable little ones and enjoy your summer holidays! Why not do a week of swim intensives! 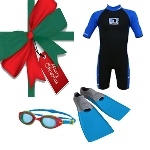 A week of Swim Intensive lessons can improve stroke, technique and swim ability out of sight! The consecutive days really cement all the teaching tips and progress – perfect if your child is on the verge of moving up a swim level or is struggling to grasp a certain element of swimming! 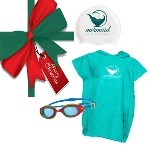 Make swimming lessons this Summer exciting with a new pair of goggles or a hooded towel! 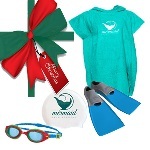 Better yet, you don’t have to face the Christmas crowds at the shops, order online and we will have them waiting down at the pool to collect at your next lesson.